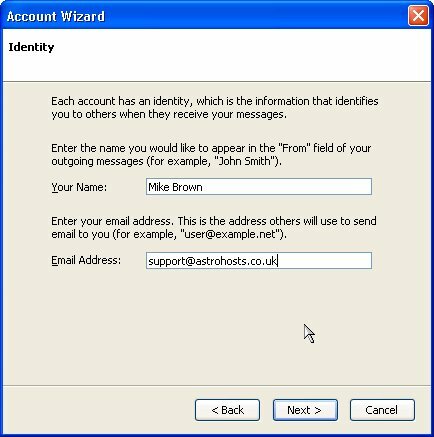 Mozilla Thunderbird is the excellent new email program which compliments their Firefox browser. 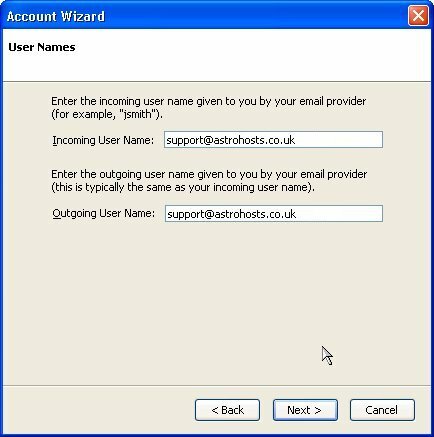 Thunderbird is also perfect for Usenet. 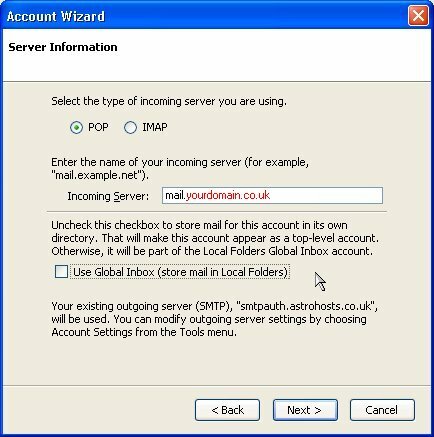 Enter your POP3 username which is typically the same as your full email address. 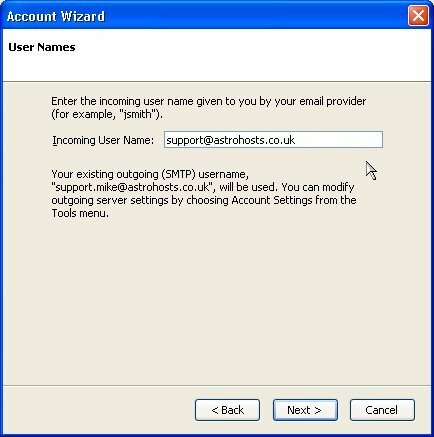 If you previously had to enter your Outgoing Server details you will also need to enter an outgoing Username. 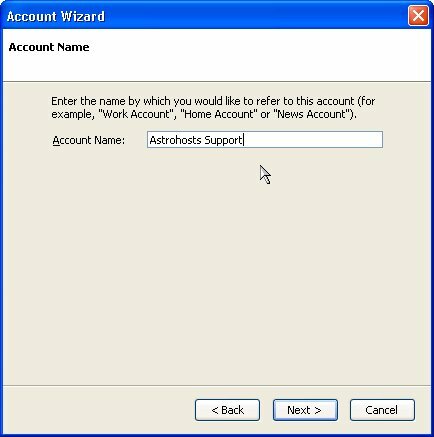 Use the POP3 username for this too. The Congratulations! box appears. This confirms the details you have entered, and our work here is done. 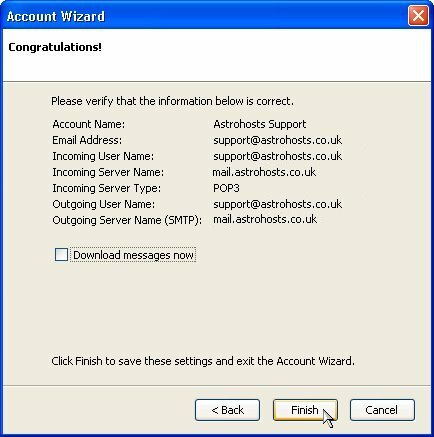 Your Astrohosts email account is now set-up in Thunderbird and ready to use.